You are a Coach who desires to build community so that you can make an incredible impact on this world. 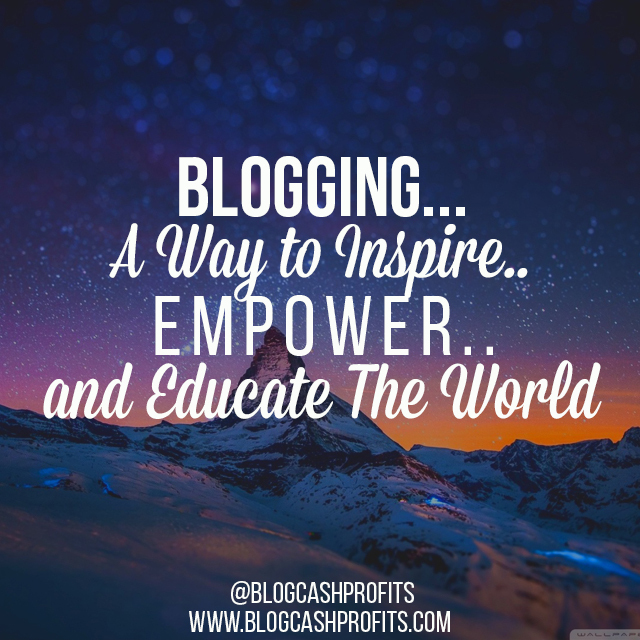 You know that a blog is the heartbeat behind your mission. But you have no idea how to start blogging, much less how to build community. Paralyzed by a fear of the unknown and your lack of knowledge around blogging? Baffled by online jargon and technical terminology? That you're dying to have a blog to serve others in a powerful way, but you're afraid of hearing crickets? Like your story is aching to be told? Like its difficult to find people who actually "get you"? Unclear about how to find your audience online? Unsure about how to launch and continue to grow a blog successfully? What if you could have a Guide that helps you get unstuck, create waves and live in your passion to share and serve others easily (and every step of the way)? It's possible to launch your blog and step up your game within this very second. 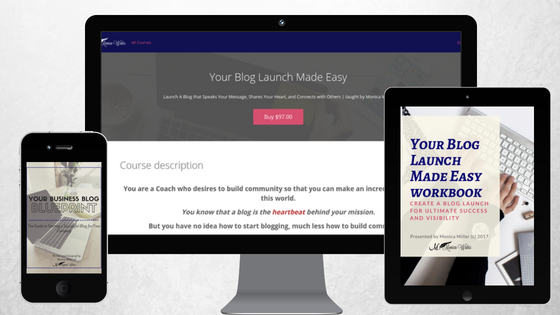 YOUR BLOG LAUNCH MADE EASY COMPILES THE MOST POWERFUL LESSONS AND STRATEGIES INTO A FOOL-PROOF, STEP-BY-STEP SYSTEM THAT WILL TURN YOUR MESSAGE INTO A SUCCESSFUL, VISIBLE BLOG TO INSPIRE AND IMPACT OTHERS. This course was made for someone like you who needs exact steps of every phase to launch your business blog successfully and confidently! What's in the course? Let's take a SNEAK PEEK of what you'll learn in every module! DISCOVERING YOUR IDEAL READER. Why do you need to know who your readers are? You'll define exactly who they are and what their burning desires are so you can talk straight to them when you begin writing content. KNOW THY PURPOSE. Why do you need one? You will learn what kind of blog you want to create in order to know how to serve and communicate with your ideal reader. UNDERSTAND THE POWERFUL USE OF SOCIAL MEDIA. It doesn't have to be a mystery as you learn how to engage and grow your followers on whichever platform you choose (Facebook, Twitter, Instagram, etc.). CREATING KILLER CONTENT. What should you be considering when you develop content for your blog? Learn the top five blog posts of all time (and why they are so successful), creating regular features, and why consistency is so important. CONSISTENCY. Why is being consistent key to your blogging success? Inside of this lesson, you're going to learn how to implement a plan of consistency to build know, like, and trust with your audience. WRITE YOUR FIRST BLOG POST. It won't be published yet, so no worries! 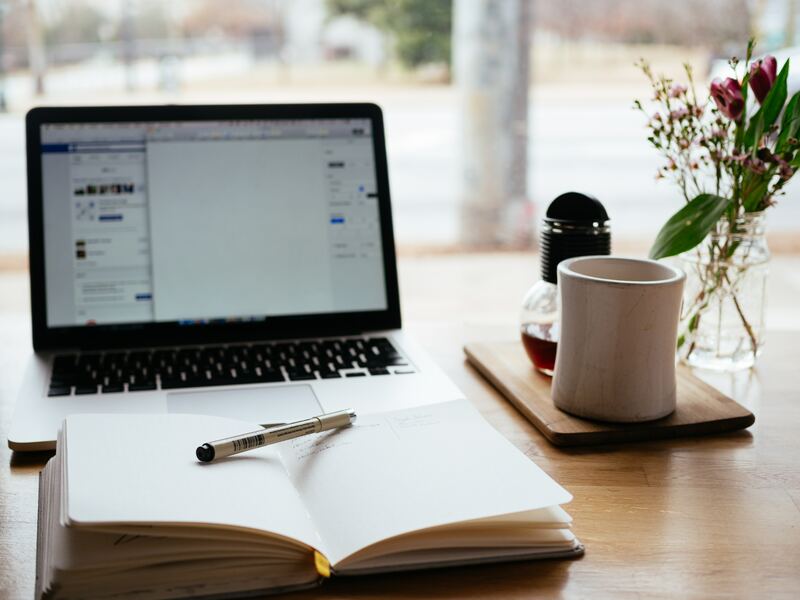 You'll understand exactly how to craft, write, and leverage your blog so that when it's published, you'll publish it with confidence and pride. GET YOUR PRE-LAUNCH PLAN IN ORDER. What's a pre-launch plan? You will craft a plan that is easy and far from overwhelming with simple guided steps (from beginning to end). KNOW HOW TO MARKET. Why is it important to market? It's time to get bold and start sharing your message now to create real waves when your blog launches. You will know how to find bloggers to write for as well as become guests on a podcast! HAVE A BUSINESS BLOG PLAN. If you don't know where you're going, how will you know when you get there? 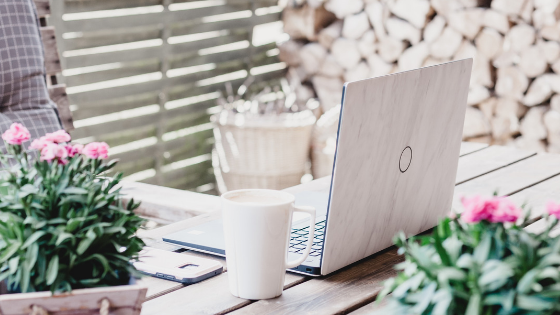 You're going to work on your blogging business plan in detail, covering your next steps, gaining traffic from here on out, and more! REVIEW AND TWEAK. If you don't know what worked, then how can you create something better? The power is in the review and tweak and you're going to know how to review your launch to know what worked so you can continue producing activities that got results! TRAFFIC BUILDING. Now that your blog is launched, what is next? After celebrating the launch of your blog, it's time to hunker down and begin building some real traffic. You will learn your necessary next steps on how to generate more traffic, which means to generate more leads! Bonuses? Yes, I got you covered! 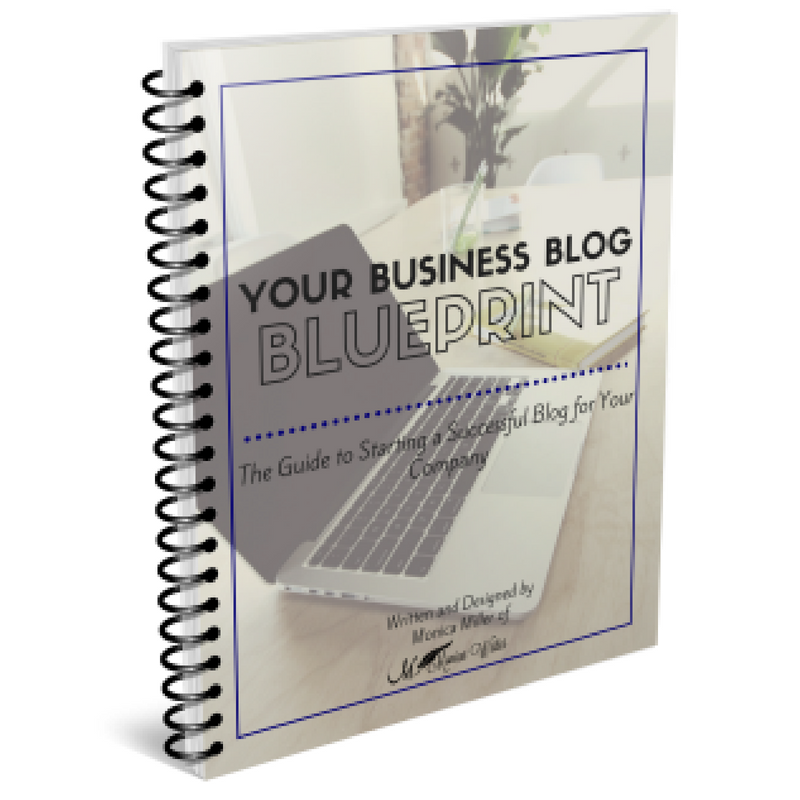 Your Business Blog Blueprint is the proven system that teaches you how to maneuver through the daunting phase of writing and posting your blog. Inside of the Blueprint, you're guided on how to set up your blog post for maximum visibility and exposure. It's over 20-pages of a step-by-step guide to creating every aspect of your blog so that you can be successful from the get-go. Understand all the blog lingo talk easily and confidently so that when you post your first blog, you're a rock star from the beginning! Includes worksheets and resources that you need every time you blog. Blogging can be daunting and confusing. This guide provides you with everything you need to brand yourself, writing click-worthy headlines and eye-popping visual assets. Hey, I understand how long it can take to find the PERFECT photo for your social media graphic, blog post graphic, or well, any other graphic you need for your brand. That is why I went out and found them for you! 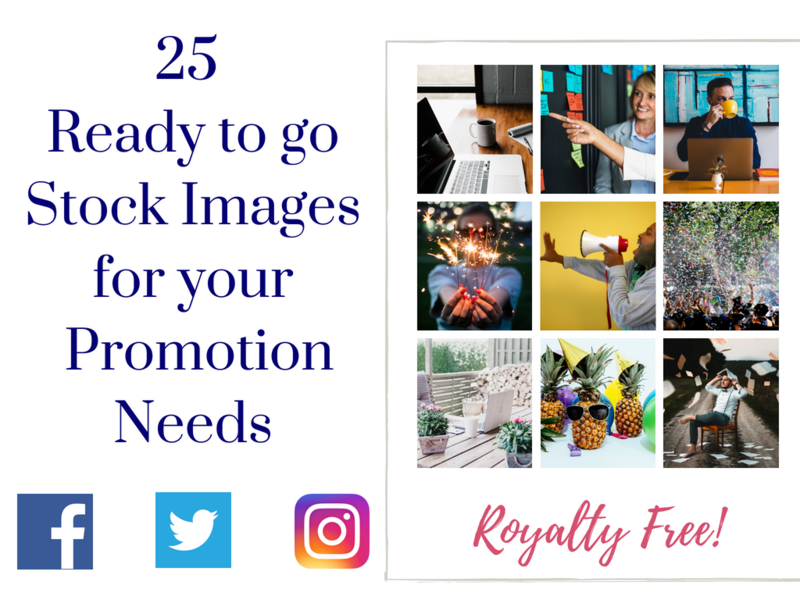 Here are 25 stock images ready to be used for you! They are royalty-free and are ready for you to slap your logo, brand colors and fonts on them to be published! These will come in handy when you begin announcing your blog launch across all your social media channels! So what is the investment for the course and bonuses? But you won't pay that price! 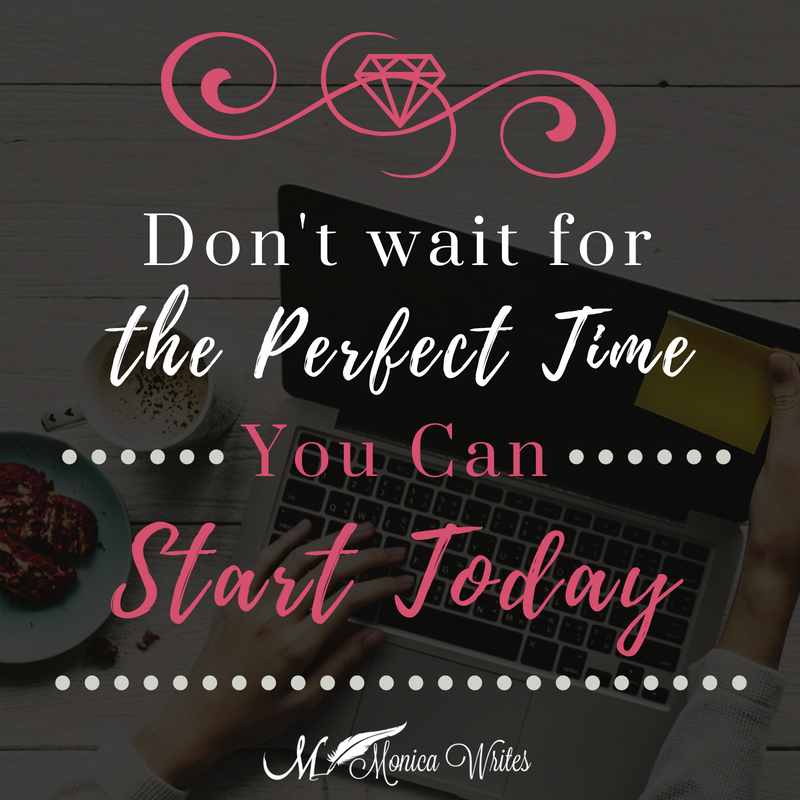 You can successfully launch your blog and create the heartbeat you desire when you know the exact steps to accomplishing it! Don't wait to launch your blog any longer! Enroll yourself in Your Blog Launch Made Easy today!